NOTE: The following presumes you are using macOS Sierra (10.12) or later. For similar dialogs on previous versions of OS X, please see this Apple Support Topic. 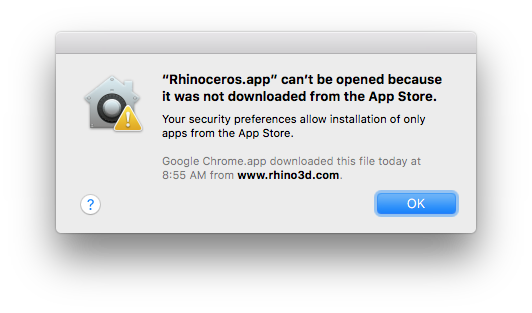 “Rhinoceros.app” can't be opened because it was not downloaded from the App Store. 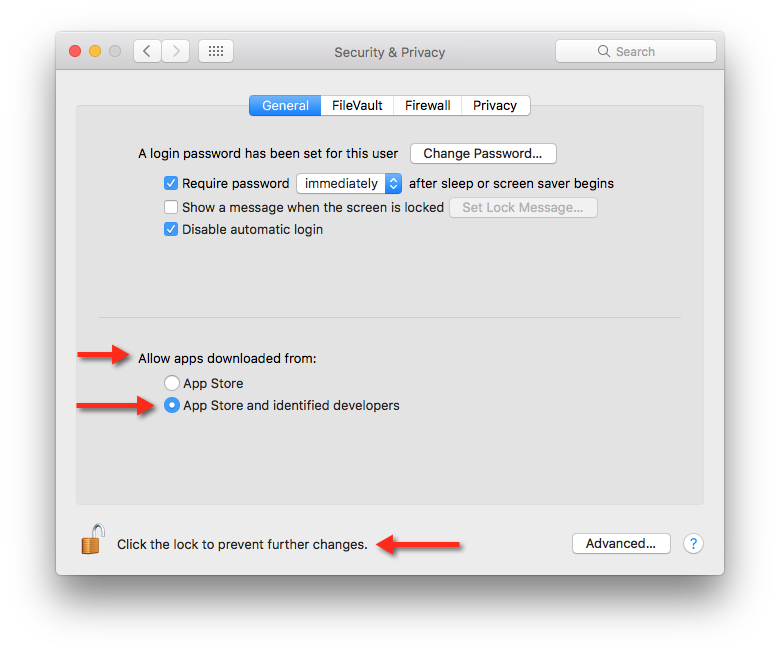 If the dialog is “locked,” click the padlock at bottom to “unlock” the dialog to make changes. Now, select the App Store and identified developers option. You can now close the dialog. When you attempt to launch Rhinoceros again, you will be presented with a different warning dialog that will allow you to Open Rhinoceros. Once you open Rhinoceros, you will not be presented with this warning again. 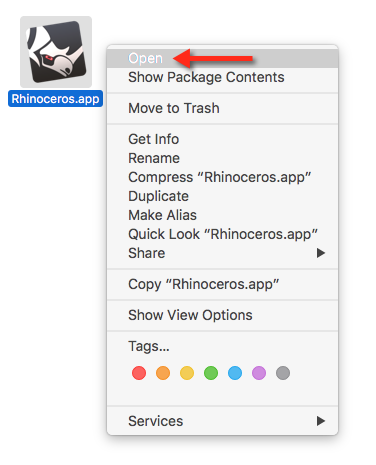 Find Rhinoceros, likely either in your Applications folder, or in your Dock. Now, instead of left clicking the Rhinoceros icon, you need to right (or Option) click the icon. This will present a menu, and select the Open option. Now, you will be presented with a different warning dialog that will allow you to Open Rhinoceros. Once you open Rhinoceros, you will not be presented with this warning again.